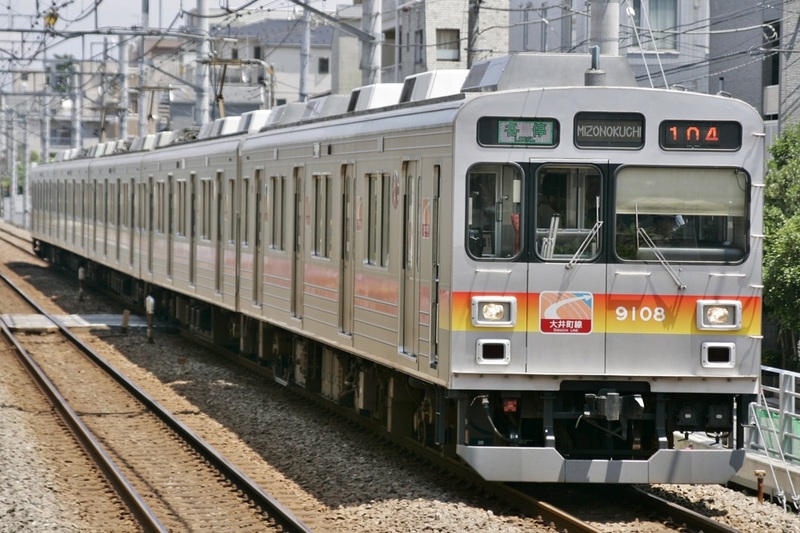 The 9000 Series is a four-door stainless steel commuter train built by Tokyu for the Toyoko and Oimachi lines. Tokyu aimed to increase comfort, ease of operation and energy efficiency with the 9000 Series. The stainless steel body adopted by its predecessors was kept, but the 9000 Series trains have a distinct off-set front door on the driver's cab. This general design was later adopted by the 1000 Series and also the 2000 Series, which is nearly identical to the 9000 Series. This train was the first production model train used by Tokyo to employ VVVF technology. 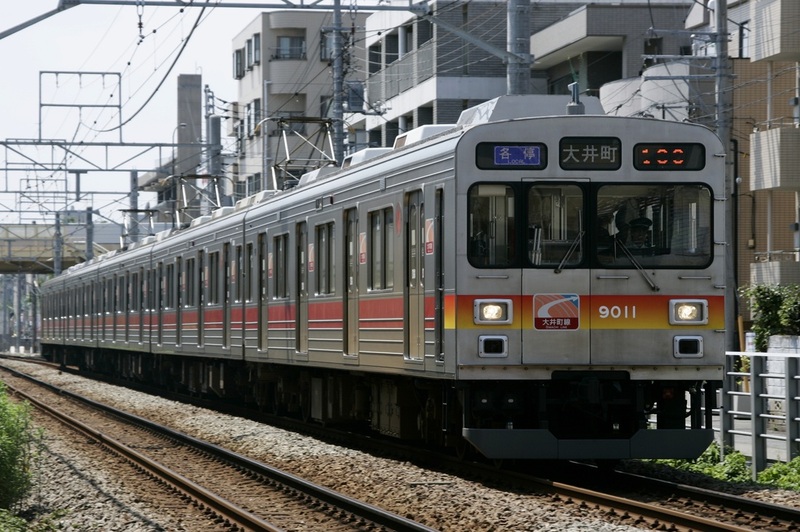 Other than the 9007 formation operated on the Oimachi line, all trains were originally operated on the Toyoko line. All Toyoko Line formations were removed from service and replaced by the 5050 Series by March, 2013. 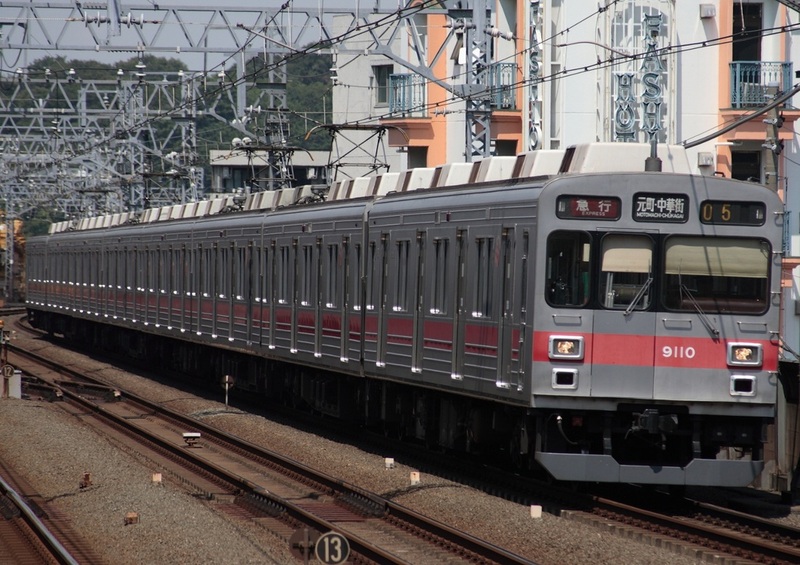 Many of the former Toyoko Line trains have been moved to the Oimachi Line where they operate as five-car formations. The end car design of the 9000 Series was later adopted by the 1000 and 2000 Series trains.